This article was originally published on May 30 in the Advertiser News North and other Straus News publications. LACKAWAXEN, PA. — The body of Peter Wislotski, 29, was found in a Lackawaxen, Pennsylvania, garage last Wednesday, dead of a gunshot wound to the head. According to a Pennsylvania State Police report, troopers were called to a Rowlands Road residence at 2 a.m. for a report of a shooting. Upon arrival, the troopers saw Stephen Saski, 27, also of Sussex, inside a garage with Wislotski, who was curled up in a fetal position in a pool of blood. The report says it took police two hours to convince Saski to exit the garage, but offers no details on why it took them so long to gain control of the crime scene. When troopers gained access to the garage, around 4 a.m., they found spent shell casings and a black handgun with walnut grips on top of a dog crate. According to the report, the homeowner, Stephanie Connelly, said she received a call from Saski Tuesday evening saying that he and a friend were coming over to work on his car. Around 11:30 p.m. she was awakened by a loud noise and thought that the two men had perhaps broken something in the garage. When she opened the door to the garage, which has an entrance into the house, Connelly saw Saski at the bottom of the stairs with a handgun. She then saw Wislotski lying on the floor of the garage. The report said Connelly heard several more shots and called 911. When Saski exited the garage he was taken into custody. He was interviewed by troopers at the Blooming Grove barracks and indicated that he had shot Wislotski in the face. The report did not give a reason why. Wislotski’s friend, Kristina Nicos, remembered him as a great guy. Wislotski was an avid skydiver and made his living as a handyman in the area. Nicos said that Wislotski’s best friend would be skydiving with the last parachute Wislotski packed to honor his memory. Wislotski graduated from High Point High School in 2003 and was an Army veteran who served two tours in Iraq and one in Afghanistan. 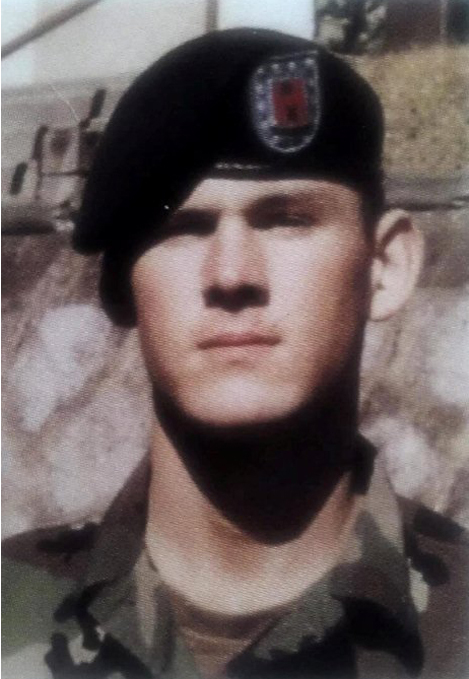 He earned a bronze star and a combat action valor medal during his time in the Army. At the time of his death, Wislotski was a member of the Army Reserves. Both Nicos and Adamczak said Wislotski suffered from Post Traumatic Stress Disorder from his time in Iraq and Afghanistan. “I know he was going to the [Department of Veterans Affairs] and was getting better,” said Nicos. Nicos said she last heard from Wislotski on May 18. She said she believed Saski was a veteran and suffered from PTSD. Adamczak said Saski served in the Marines. Saski is facing charges of criminal homicide, possession of a firearm without a permit, and possessing an instrument of crime with intent. He is being held in Pike County Prison without bail and is being represented by public defender Thomas Earl Mincer of Milford, Pa.
Lackawaxen is approximately one hour northwest of Sussex.